Between 2016 and 2018, Wealth Research Group has brought you winner after winner, helping you to turn your financial dreams into a reality. Today I’m prepared to announce our next big winner – I’m talking about a multi-bagger in a market that is set to explode very soon. My research team has been working on this one for a while now, and it’s one that I’m willing to put my own personal capital into. Believe me, I don’t just put my money into anything: it’s got to be the perfect vehicle for massive growth. That’s what we’re seeing right now in a particular industry, though most investors aren’t even aware of it. The mainstream press hasn’t caught on just yet, though of course they will after the price appreciation has already occurred. What I’m looking at is a health-and-wellness trend that is taking over the beverage market. Drinks loaded with sugar, caffeine, and unhealthy additives are out; consumers around the world are demanding better ingredients and more functional beverages so they can live longer and feel better. Savvy consumers are making more mindful choices, and it’s having a major impact on the beverage industry. Mindful and lighter beverage choices are not a fad, but a movement that has been picking up steam in recent years. Consumers have been reading labels more carefully and insisting on beverages that bring wellness to the mind and body. It’s a holistic approach to beverage consumption, and it’s expanding from a niche market to a mainstream phenomenon. Industry, government, and media campaigns have alerted the public to sugary soda’s connection to diabetes, obesity, and other health risks. 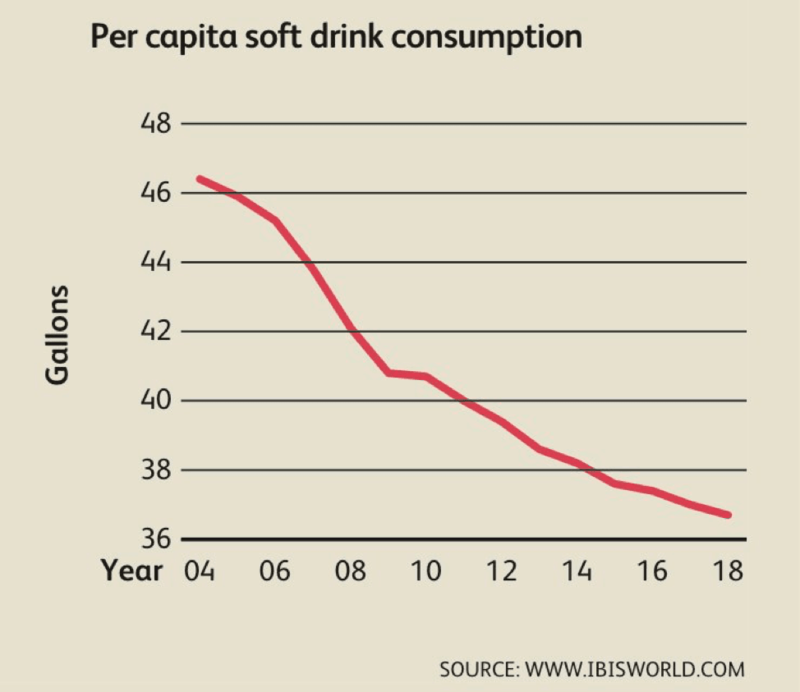 As a result, the global demand for unhealthy soft drinks has been in a state of free fall. This has been a nightmare for Coca-Cola and Pepsi stockholders, but it has opened the doors to a new, emerging market and better investing opportunities. Wealth Research Group likes to make money on these opportunities, and we’re ready to show you exactly how it’s done. The number-one company in the healthy-beverage market in 2018, the one that’s destined for huge growth and profit potential, is KOIOS Beverage Corp. (CSE:KBEV). This company provides the most cutting-edge nutritional technology and is quickly becoming a leader in the healthful beverages market. What first caught my attention was KOIOS’s proprietary formula for nutritious beverages infused with nootropics; this is a real game changer for the beverage market. Nootropics are supplements or other substances that improve cognitive function – specifically executive functions, memory, creativity or motivation in healthy individuals. 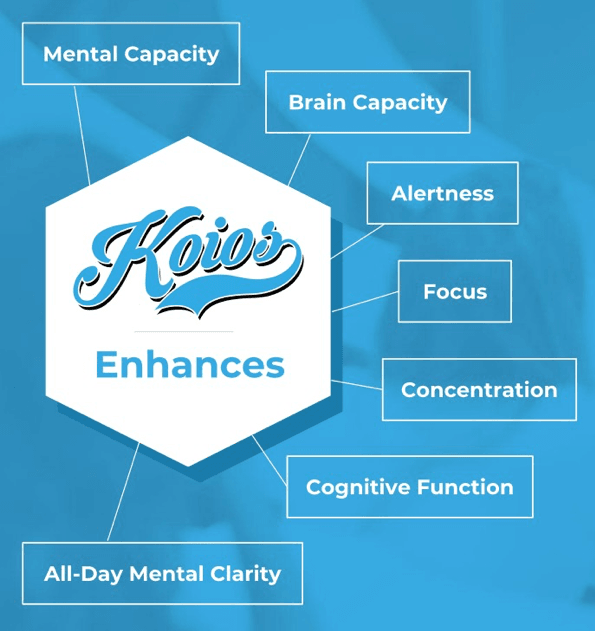 KOIOS has what no other beverage company has: a proprietary blend of nootropics and natural organic compounds to enhance human productivity without using harmful chemicals or stimulants. These ingredients are specifically designed to target brain function by increasing blood flow oxygen levels and neural connections in the brain. Along with their high-quality, super-healthy proprietary nootropic blends, KOIOS has a huge competitive advantage in their relationships with some of the largest and most reputable distributors in North America, including Europa Sports, Muscle Foods USA, KeHE, and Wishing-U-Well. KOIOS also enjoys a large online presence through their partnership with Wishing-U-Well and through being an Amazon choice product. Furthermore, KOIOS has an extensive retail presence, with their products available at various 7-11’s, Conoco’s, Gold’s Gyms, Woodman’s Markets, Alfalfa’s, Crunchy Grocers, Mothers Market, True Fit Gyms, and Total Nutrition. The nutritious beverage market is booming, and right now is the time to take a position in KBEV stock shares. For more information, you’ll definitely want to download Wealth Research Group’s full exclusive report on KOIOS and how to position yourself for superior returns in this fascinating new market. CRYPTO CARNAGE OVER: Assessing the Damage!